Last year's winner, Fighting for Survival by Lucia Moniewski. ATTENTION, all artists: here is your chance to show your creativity and skill. 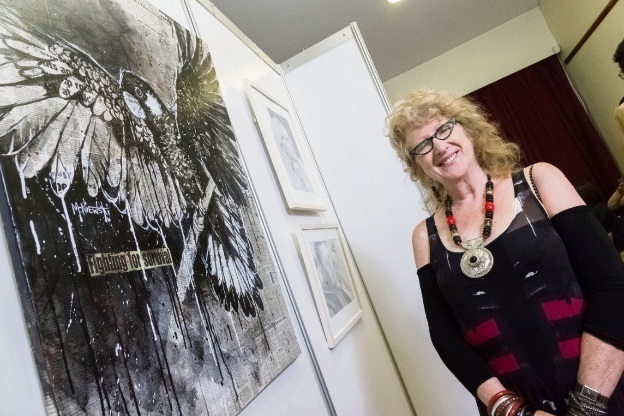 Entries are now open for the City of Gosnells’ Community Art Exhibition and Awards for 2018. Last year, the City received more than 180 artworks and overall award winner Lucia Moniewski took home the prize of $5000 for her piece, Fighting for Survival. Categories to enter include oils, acrylics, watercolours, pastel, pencil and pens, digital media, mixed media and sculpture. Awards will also be given to the best youth artwork, best local artist, best artwork depicting themes linked to the City of Gosnells and a people’s choice award. Entries close at 4pm on Monday May 14 and the exhibition will be open to the public at The Agonis in Gosnells from Saturday June 16 to Sunday June 24, from 10am-4pm.